This is one of my favourite summer lunches. 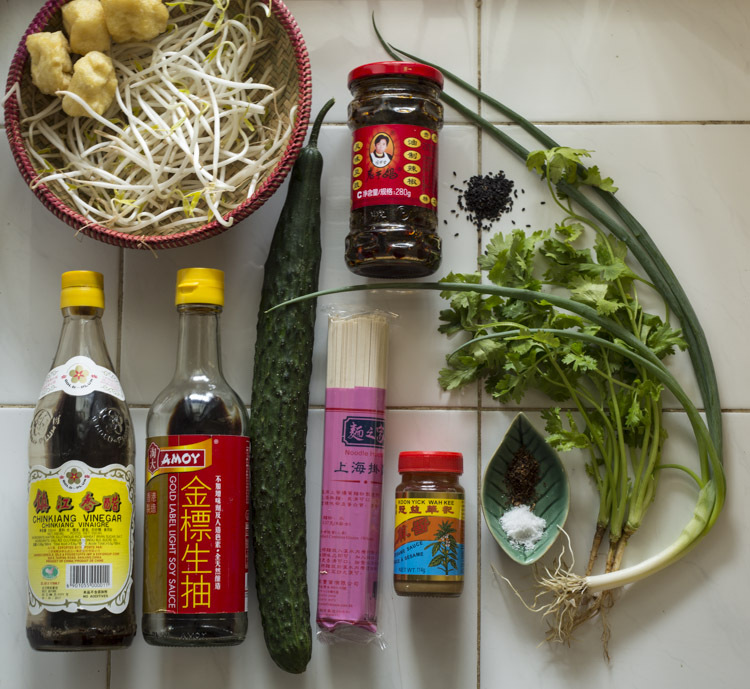 Although the ingredients list may look long and complicated (sorry), most of the sauce ingredients will – like all good Chinese condiments – last for years. I’ll be enjoying my bottle of “Old Godmother” chilli oil until some time in 2017, if the label is to be believed. I first ate this dish in a Beijing university canteen without realising that it’s full of typical northern Chinese flavours. 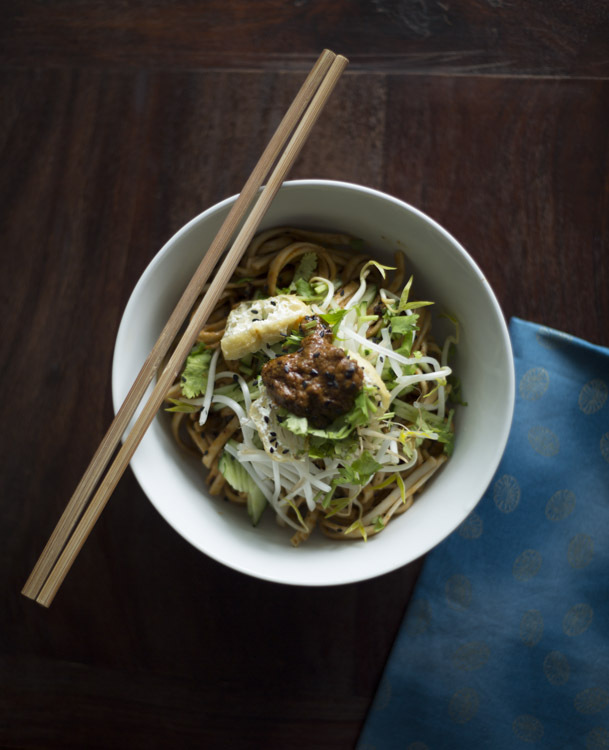 Cooled noodles are tossed in a spicy and slightly vinegary sesame sauce, then topped with juicy bean sprouts, sliced cucumber and a handful of chopped coriander. The only thing that stops this from being a quick lunch is the time needed to cool and dry out the noodles, an instruction I feel somewhat hypocritical in adding, as I seldom wait that long myself. Either wheatflour or buckwheat noodles work well here, and you can freestyle most elements of the dish, heaping on more vegetables or lashings of chilli oil as you like. The one thing I’ll hold firm on is the vinegar. I’ve used Chinkiang vinegar (镇江香醋, Zhènjiāng xiāng cù), a kind of black rice vinegar from Jiangsu in eastern China. Made from glutinous rice, black rice vinegar is less acidic than most Western vinegars and has a distinctive flavour – so distinctive, in fact, that I’ve just spent 15 minutes taking nips from the bottle and trying to work out how on earth to describe it. “Like basalmic vinegar without the syrupiness”, that’s as good as I got – can anyone out there do better? 1. Cook the noodles according to the instructions on the packet. 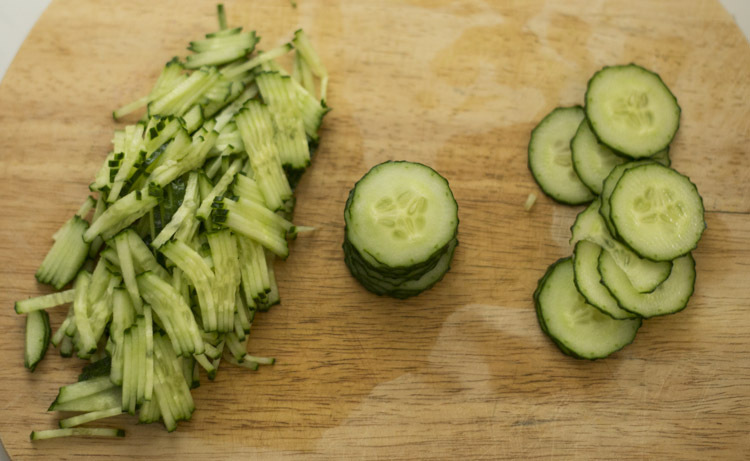 Drain well and mix a little cooking oil through the strands before leaving somewhere airy to cool and dry out for an hour or longer. 3. 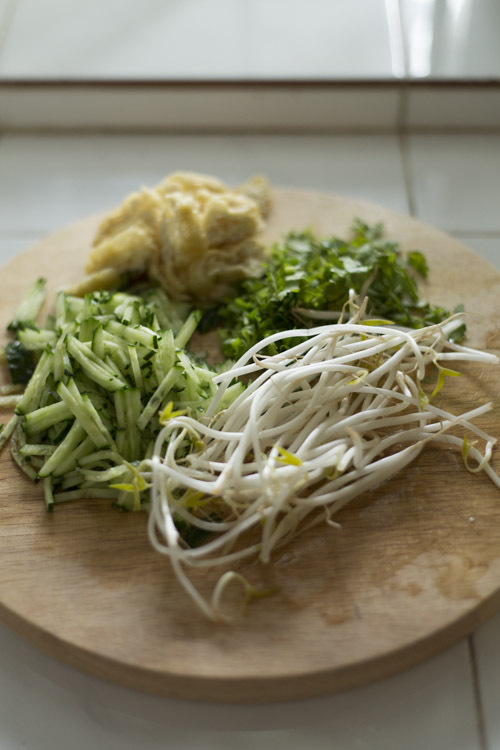 Blanch the bean sprouts in boiling water, drain and chop in half. Roughly chop the coriander and spring onion, along with the tofu if you’re using it. 5. 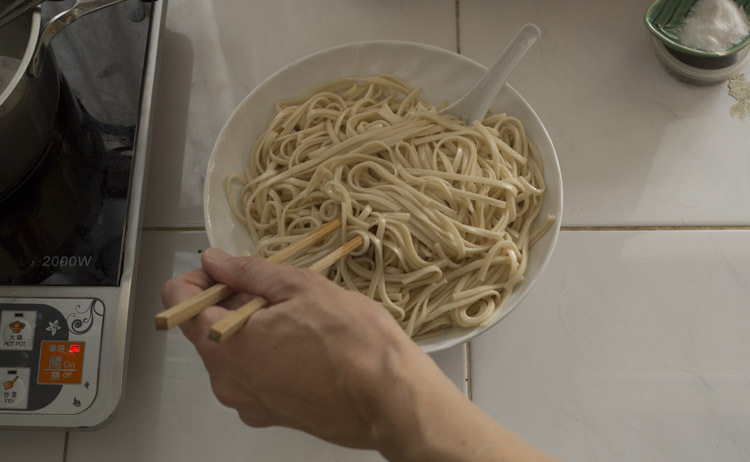 Finally, mix the cold noodles with most of the sauce, reserving just a spoonful or two. Split between two serving bowls and top with the chopped vegetables, a dollop of the remaining sauce and a sprinkle of sesame seeds. The Chinese chilli oil I use is Lao Gan Ma (老干妈, “Old Godmother”) brand. 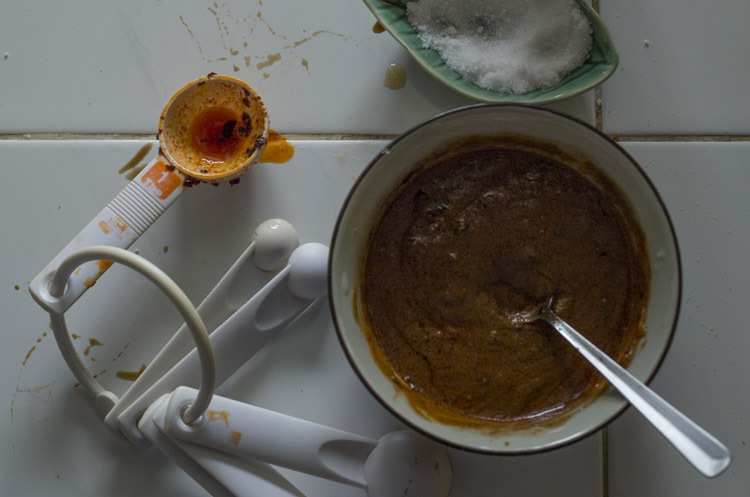 The flavour is milder than many other types, and the oil is studded with chilli-soaked soya beans, which add a delicious dimension to the final sauce. If you’re using a different kind of chilli oil, start by adding a smaller amount, then adjust to taste.